Lefteris Chrysochos graduated from the University of Patras, Department of Physics in 2000. He received his MSc degree in Computer Science and Technology, from the Department of Computer Engineering and Informatics of the University of Patras, in 2004. His scientific area was «Hypertext Databases». He provided teaching assistance from 2000 to 2002 for the courses of Basic and Digital Electronics at the Department of Computer Engineering and Informatics, University of Patras, and he has been teaching informatics at pubic and private schools since 2000. 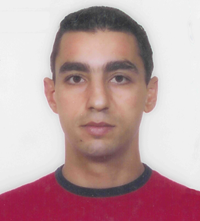 Since 2005 he is a PhD student at the Hellenic Open University, school of Sciences and Technology.